As we age, the effects of gravity, sun exposure and facial volume loss contribute to the development of facial wrinkles, folds, hollowing and sagging. With the advent of modern cosmetic medical techniques, more and more people are opting for non-surgical facial enhancement procedures to correct these issues. Dermal fillers are at the forefront of this revolution. 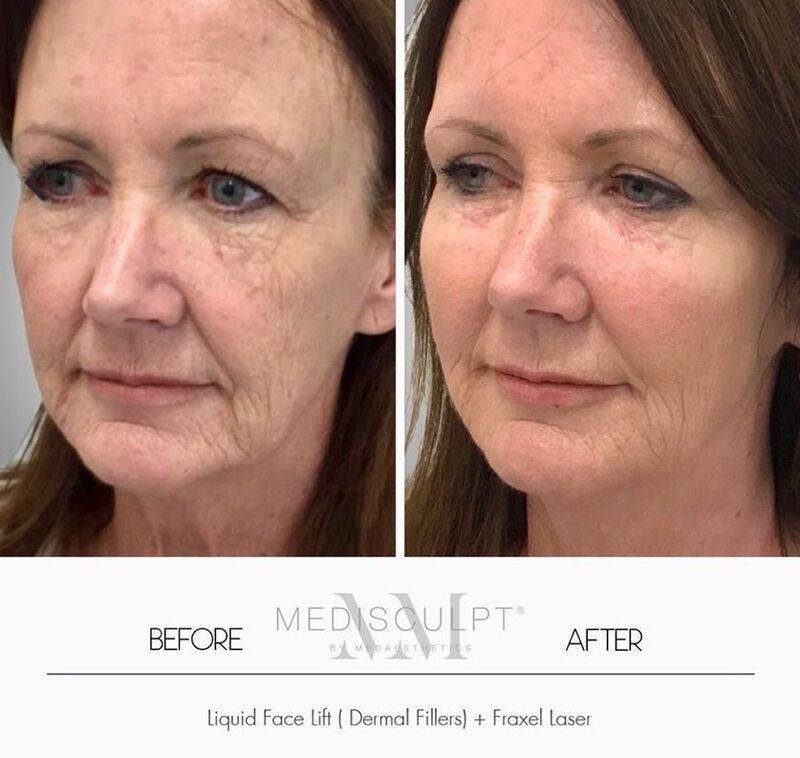 Any doctor or nurse can perform basic dermal filler treatments. However, a varying degree of results may be produced. 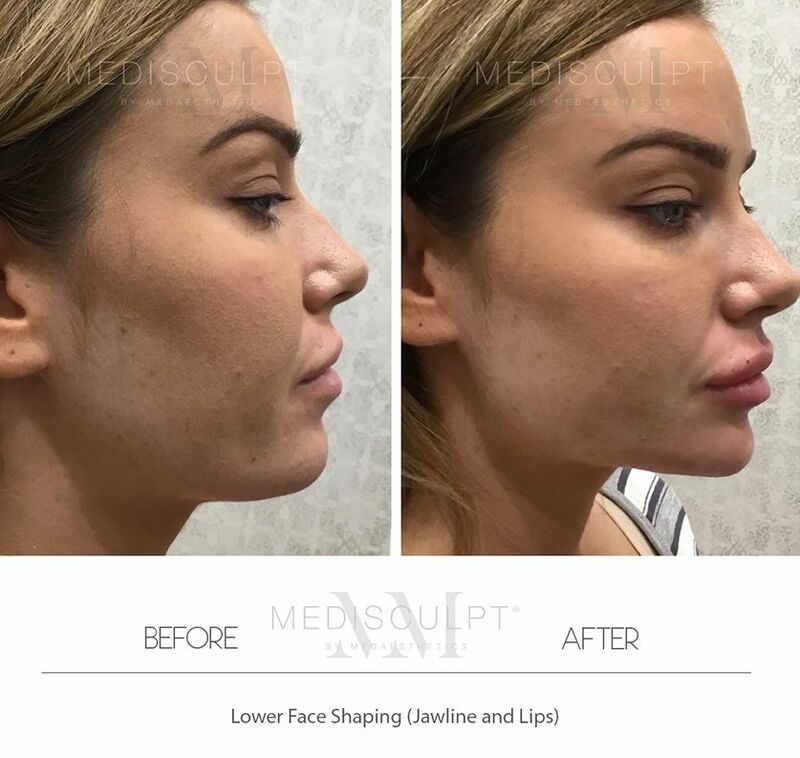 At Medisculpt™, our experienced doctors and nurses offer advance dermal filler facial-contouring techniques which are only available at super-specialised cosmetic clinics. We use extremely high strength numbing agents and gentle injecting techniques to make each treatment as comfortable as possible. 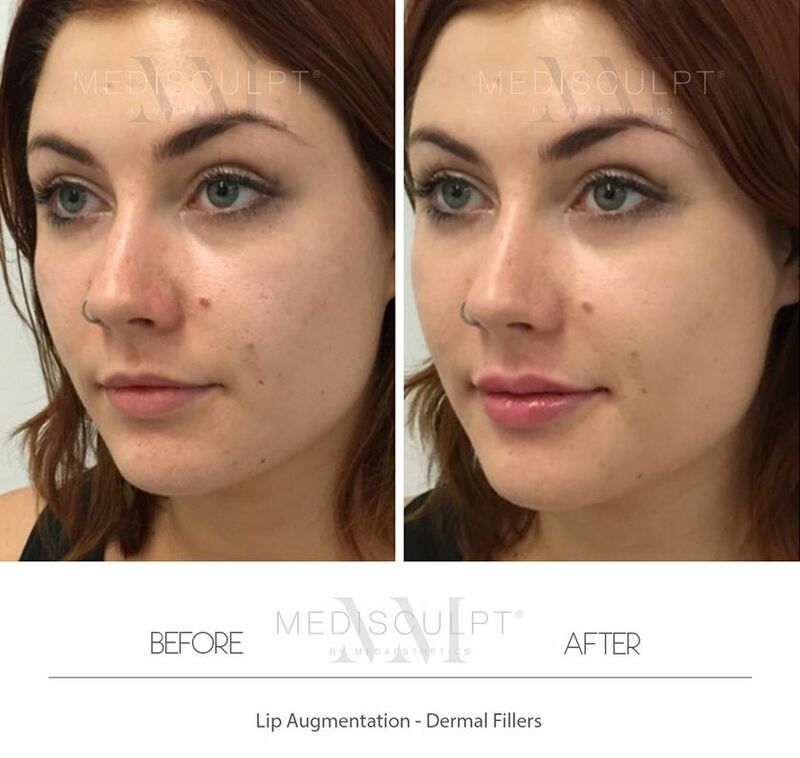 Please compare the quality and clarity of our Before/After photos to other cosmetic websites to understand why Medisculpt® is one of the handfuls of Allergan™Platinum Plus Cosmetic Injecting Clinics in Australia. 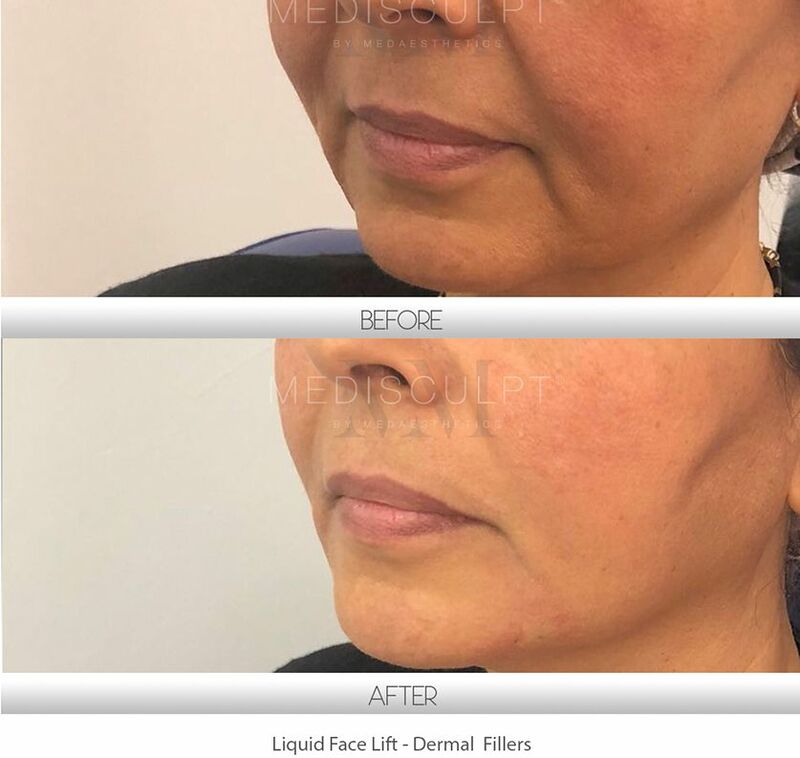 Dermal fillers are biocompatible gels which are injected in or under the skin to enhance facial appearance by restoring hydration, facial contours and volume loss. Once applied, they also assist in the production of new collagen, improve the natural texture and elasticity of skin and prevent the skin from sagging. 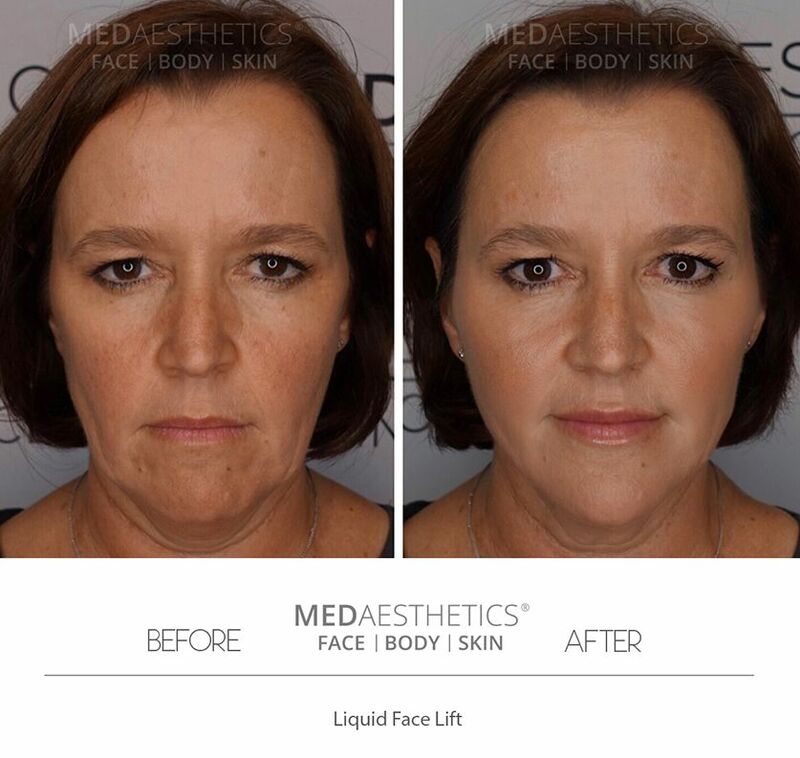 What are the different types of fillers available today? Dermal fillers are now the second most popular non-surgical facial rejuvenation procedure in Australia, after Anti-wrinkle Injections. 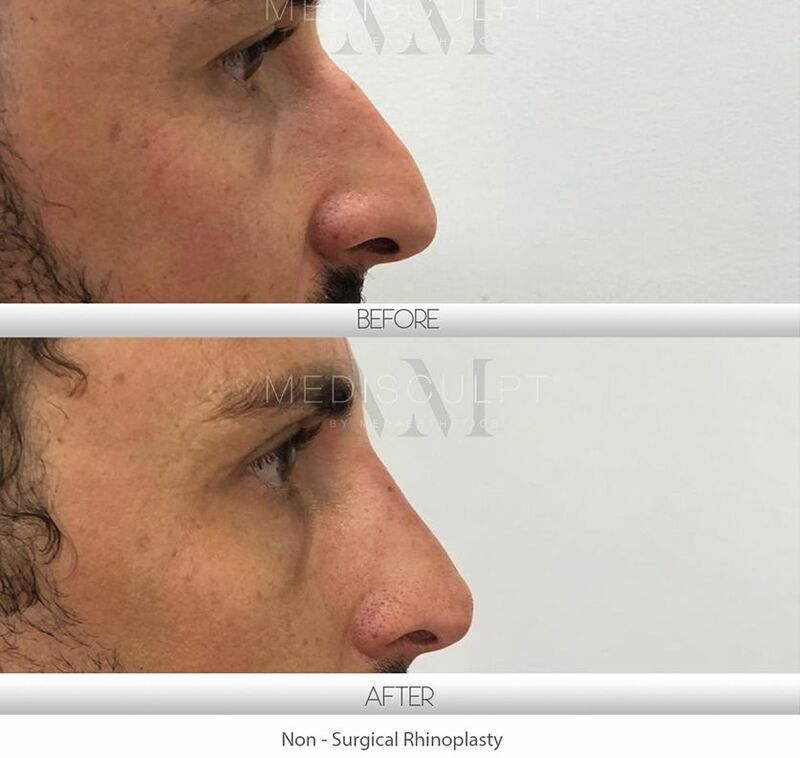 (Note: We are unable to mention the names of specific dermal fillers available in the Australian market due to TGA restrictions). 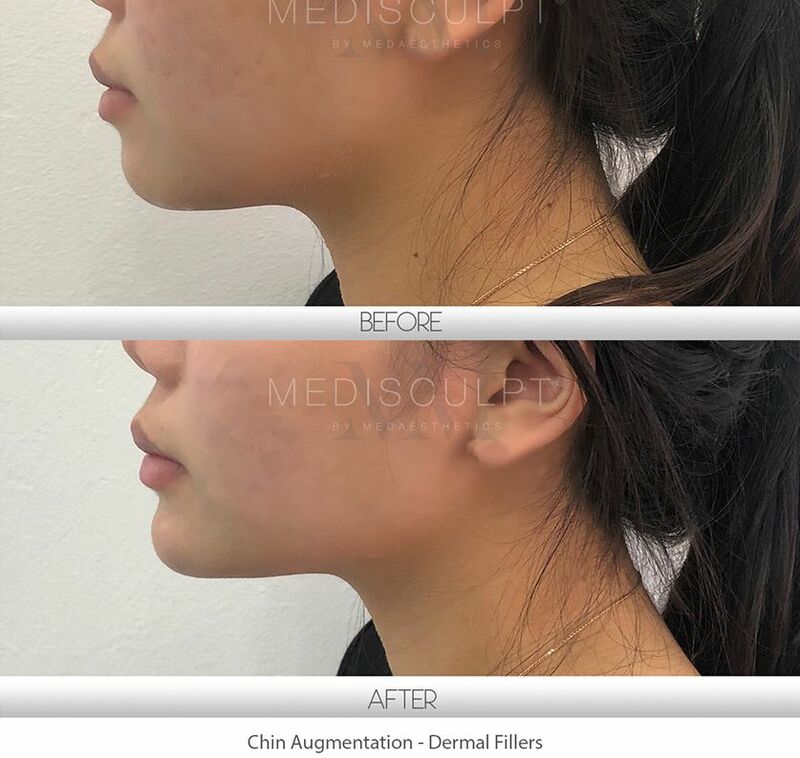 In what area can dermal fillers be used? What is involved in treatment with dermal fillers? Treatment usually involves the application of a local anaesthetic cream or the local infiltration of anaesthesia to the treated area. The dermal filler gel is comfortably injected into the area once it is numbed. 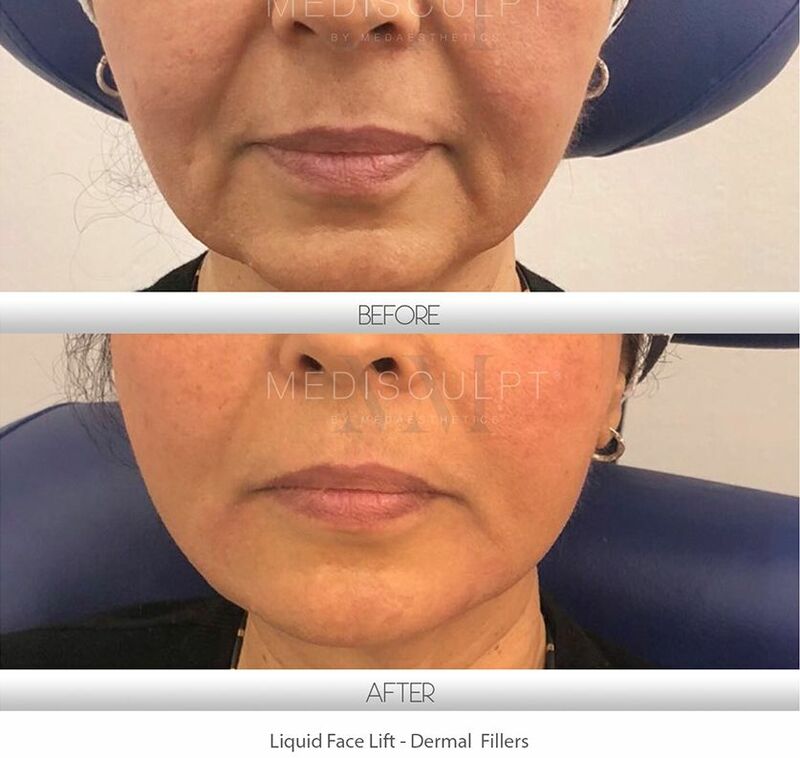 Treatment times vary depending on the number of dermal fillers required and the area treated, but it will generally take about 15 to 45 minutes. After treatment, it is acceptable to apply makeup and resume your normal daily activities. 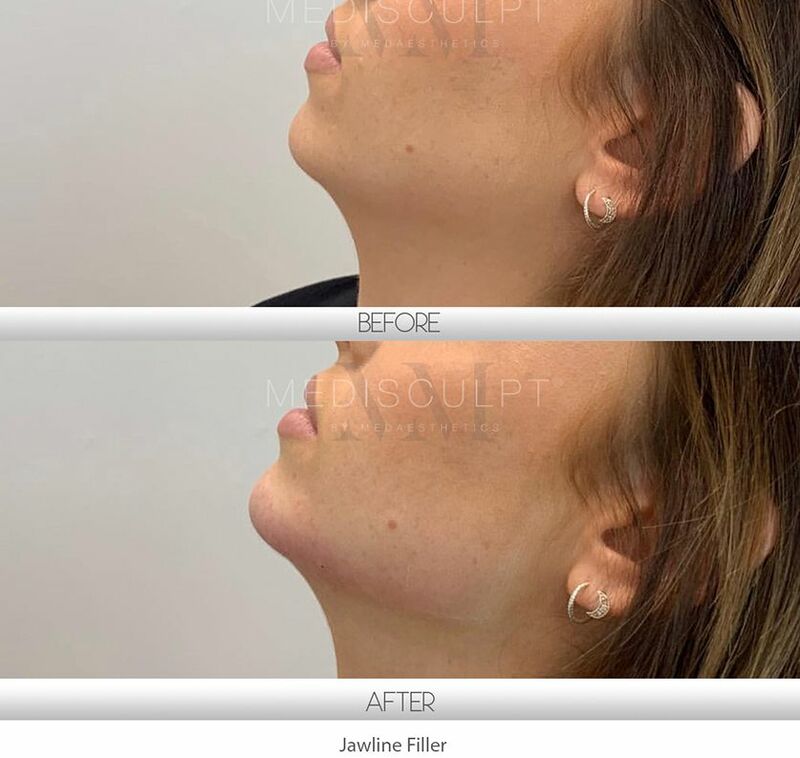 Treatment with dermal fillers sometimes does take more than one session to achieve the best results. The first treatment lays the foundation for the subsequent treatments, and future treatments allow for any adjustments to be made. 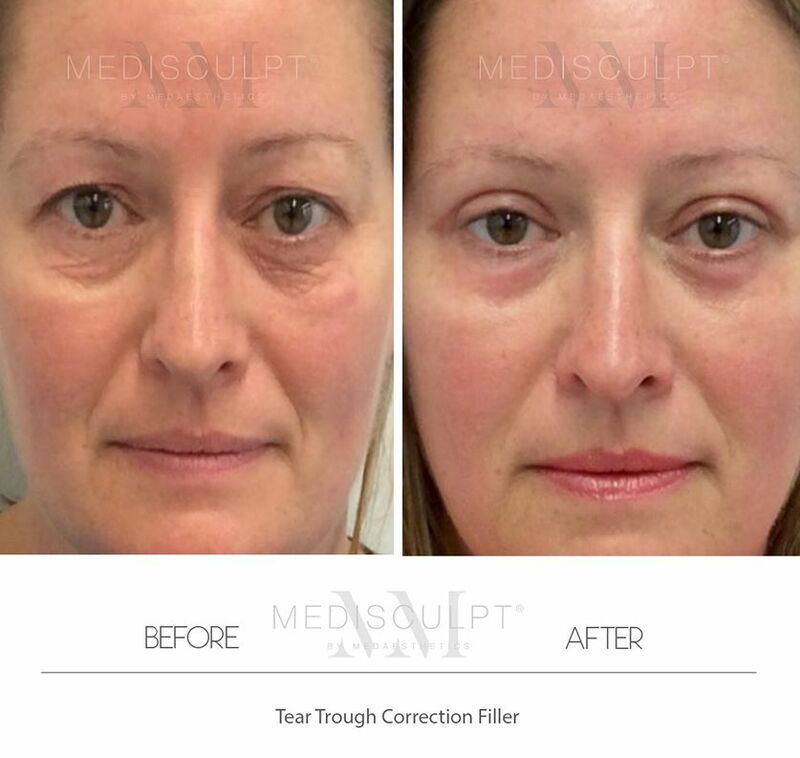 The initial treatment typically requires the highest volume of filler. Following this, we usually are only required to perform top-ups to maintain the desired long-term outcome. What degree of pain is associated with this procedure? Treatment involving dermal fillers usually requires some form of anaesthesia. 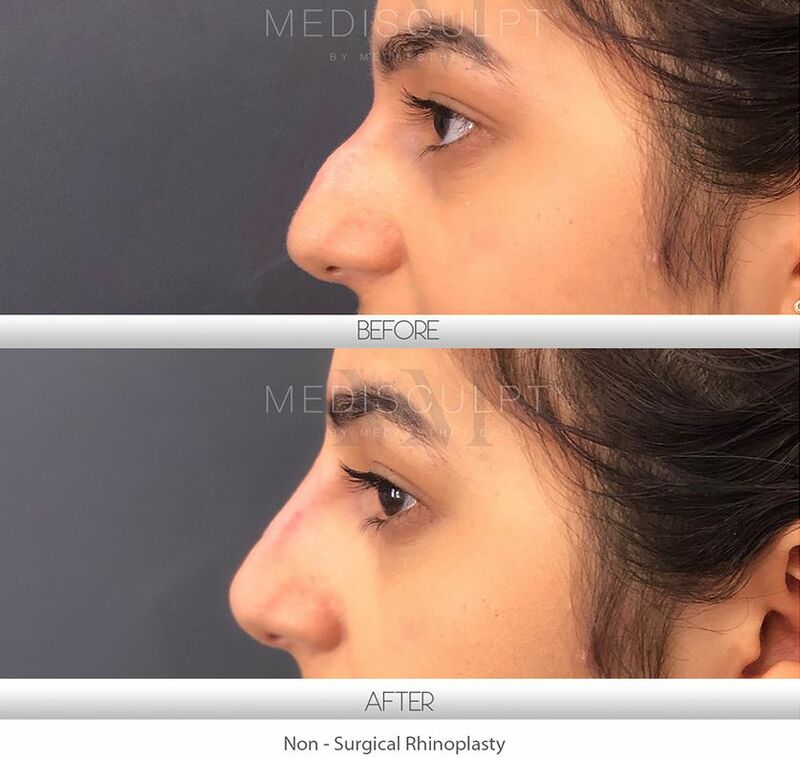 Our doctors have developed special anaesthetic techniques to make the procedure virtually painless and discomfort-free. The use of a vibrational anaesthesia device, super strong topical numbing cream and inhalation anaesthesia gas (laughing gas) are all employed. 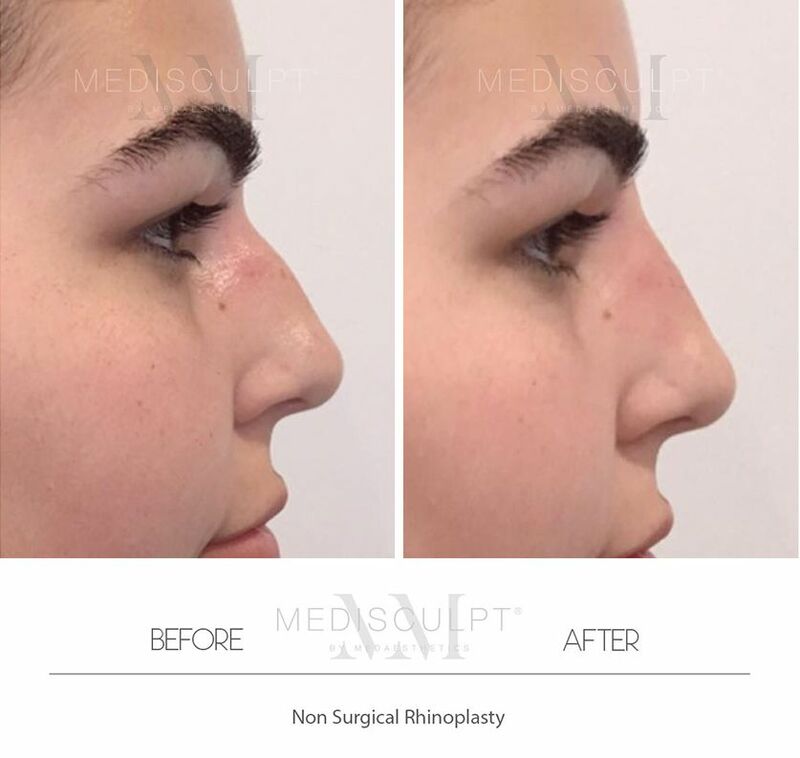 Patients often tell us that Medisculpt's injecting techniques are by far the least painful, as compared to other practices. There are very few risks associated with dermal fillers when used by an experienced doctor with a strong knowledge of the facial anatomy. Dermal fillers have been used for cosmetic reasons for over 20 years, with allergic reactions and major vascular trauma arising in rare cases. Minor side effects include temporary swelling and bruising at the site of injection. Generally, there is minimal downtime, and most people return to their normal activities later in the day. The downtime is usually influenced by swelling or bruising, which can be easily camouflaged by makeup in most cases. Fillers in the lips tend to cause more swelling in patients who are of 50 years of age and above. In some cases, this may last for up to 72 hours but will settle nicely after. When will the treatment results become visible? Results with carbohydrate gel dermal fillers are usually visible immediately after the treatment. However, these results will improve over the next two weeks. This is because fillers attract moisture and 'mature' after they are injected into the skin. 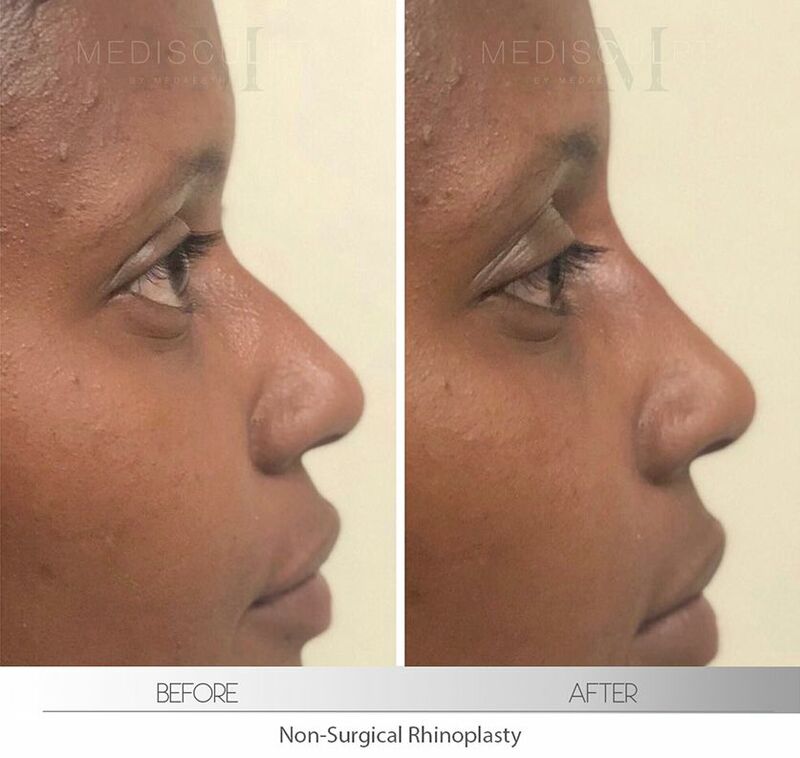 On the other hand, bio-stimulatory fillers tend to work over a period of several weeks and require 3 or more treatment sessions before the results are visible. Overall there may be some swelling immediately after the treatment. This will subside within a few days. How long will the dermal fillers last for? 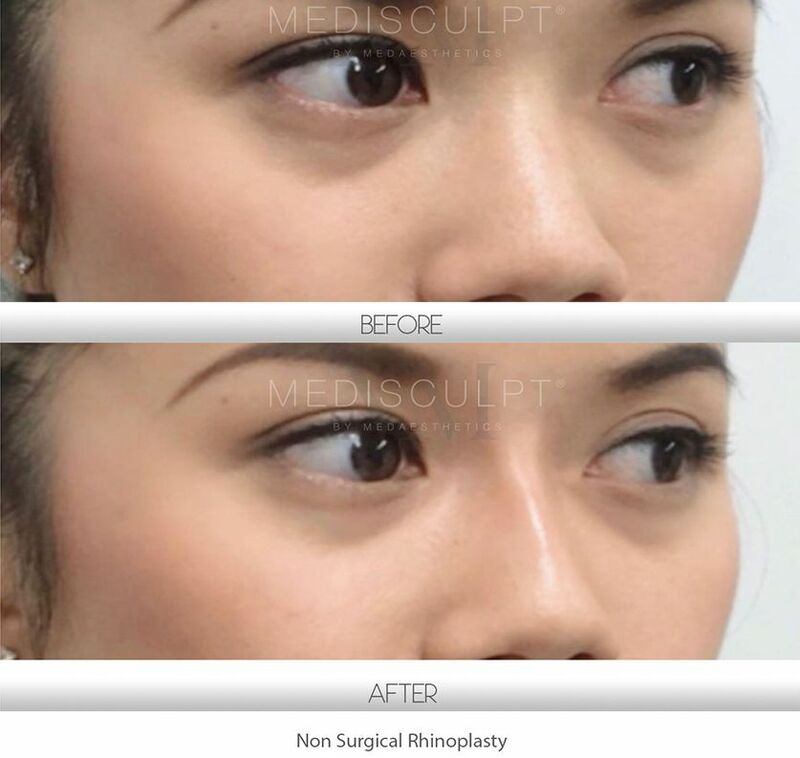 This depends upon the type of dermal filler used, its consistency and the treatment site. Most carbohydrate gel fillers last between 6 to 24 months. There is a tendency for fillers to last less in those who smoke cigarettes, have a high metabolism, are actively trying to lose weight, are on a carbohydrate-restricted diet or are engaged in vigorous physical exercise programs. 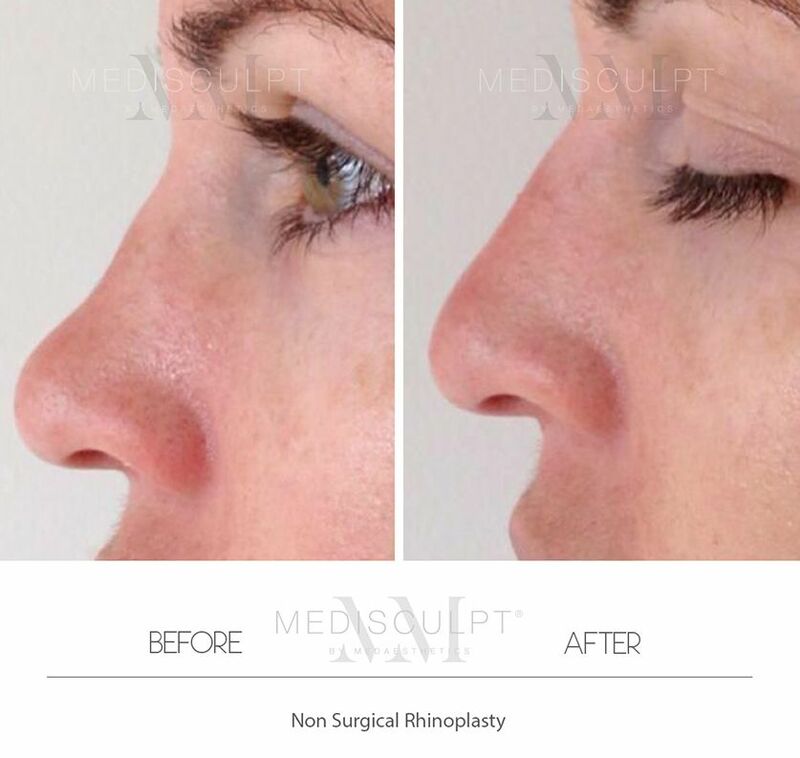 Are there any alternative treatments available that deliver similar results to dermal fillers? The answer is yes. Fat grafting is an excellent and longer-lasting alternative to dermal fillers. Fat cells exist naturally in the body and contain stem cells. 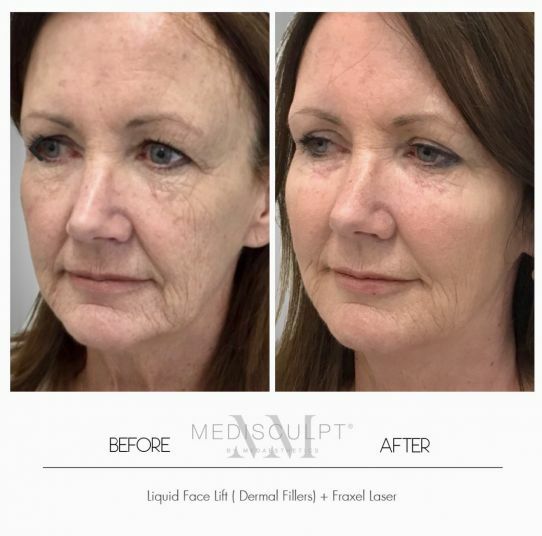 Medisculpt® is among the handfuls of clinics in Australia that offers the latest micro fat-grafting injection treatment for facial volume loss and rejuvenation. Bruising is the most common side effect of any injection-based treatment. To minimise this, it is best to avoid anti-inflammatory drugs such as Aspirin (unless for medical reasons), ibuprofen, fish oil supplements, green tea, garlic, ginkgo and other herbal products for a week prior to the procedure. These products are known for their potential to thin blood and increase its clotting time, which may increase the risk of bruising. Please inform our staff if you are using any medication at the time of your initial consultation. We also encourage our clients to commence consuming arnica tablets a few days before treatment. This naturally occurring herb aids healing and minimises bruising, and can be found in most health food stores and pharmacies in Australia. The cost of dermal fillers depends upon the type of filler used, the amount used per session and the area being treated. Each patient is unique and has individual treatment requirements. This is assessed during the initial consultation with the treating doctor. A treatment plan is mapped out for each patient based on their budget and the clinical improvement they want to achieve. We primarily use Allergan™ range of filers which are considered to be the best in the market with the longest lasting results among HA Fillers.